We are a professional network, collaborating on projects. We engage a group of partners who share our passion for transformation and are aligned with our values, ethical norms and professional standards. Mahieu & Associates Pty Ltd was founded in 2014. In 2002 Sander Mahieu established Synnova Consultancy, which he co-directed into a global network of 30 consultants in the field of organizational/ cultural transformation and leadership development. After 13 years of international consultancy, he started Mahieu & Associates, moving his focus to (South) Africa. Sander is an independent, internationally recognised facilitator in the field of organizational change, cultural transformation and leadership development. He has worked for a diverse range of organizations, mentioned on our page Track Record. He has lectured in Change Management and Cultural Transformation at IBO Business School in The Netherlands. Prior to his work as consultant, Sander gained over 15 year’s experience as an HR Manager; he then worked with a Dutch training & consultancy company for 3 years as Account Director, responsible for implementing HR projects and change programmes. Sander’s focus has shifted from consulting to the facilitation of learning processes, both for individuals and (top)teams. 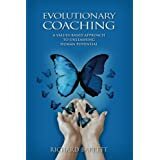 His aim is to support people to increase their self-awareness, to release dysfunctional beliefs, structures and triggers; and to evolve into a values-based approach, consciously creating their desired future. After 3 years as Chair of the Board of Trustees, Sander is currently a member of the Advisory Council of The Hunger Project Netherlands. He is also a volunteering mentor and a tutor Leadership & Personal Development at the Tertiary School in Business Administration TSiBA, Cape Town. See page Social Change for both THP and TSiBA. 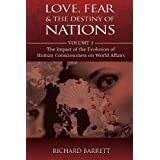 Richard Barrett is advisor to our network. 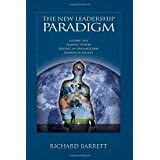 He is the founder of Barrett Values Centre and of the Cultural Transformation Tools. 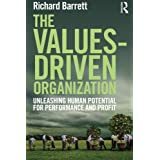 Richard is an author, speaker and internationally recognised thought leader on the evolution of human values in business and society. Richard currently devotes his time to writing and key-note speaking arrangements. Richard is not only an inspiring role-model and advisor, he is a dear friend too. Barrett network expands, in South Africa now more than 750 CTT-consultants!